The first thing you probably do after you spent nearly $1000 buying an iPhone X is taking a picture. Thanks to the front camera and the facial recognition technologies, you can now create an animated emoji based on your own expressions, and then send it to your friends as a voice message. At the announcement on September 12, Apple introduced many new features in iOS 11 to people, and Animoji feature is one of them. 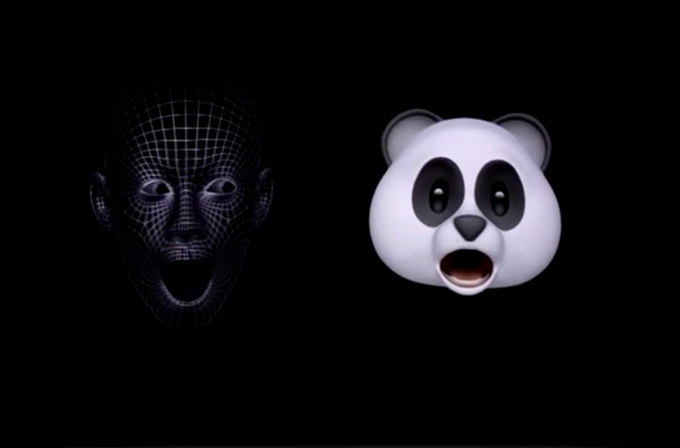 According to Apple, Apple Animoji is the custom animated message that uses your voice and reflects your facial expressions. Let’s see how Animoji maps emoji from facial expression in real time. Actually, Apple doesn’t initiate this technology. 3D scan and infrared light projection have already appeared in the market. The True Depth camera Apple is using isn’t new either. When you fire up True Depth camera in Apple, it will track more than 50 muscle movements and map them to the emojis you have chosen from the template. 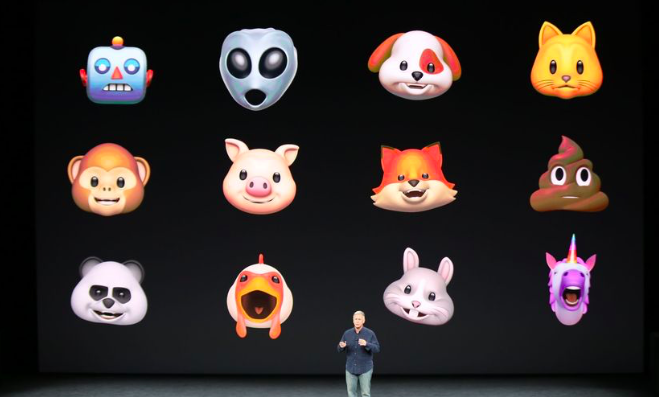 Up to now, Apple has announced 12 emojis it supports in making Animoji, such as chicken, cat face, Alien, dog face, fox face, rabbit face, robot face, unicorn face, pig face, panda face, monkey face, and a pile of Poo. However, you can only use iPhone X to make Animoji by its Face ID technology, and you can only create Animoji in its message app. In fact, an Apple Animoji in a message isn’t just visual, but also audible. In other words, your voice can be recorded when your facial expression mimicked by one of the emoji in the list. When you speak, the emoji’s mouth will be open or be close to matching your frequency. No matter whether sending an Animoji message to friends will be a trend or not, sending Animoji is surely more interesting than the traditional way of sending a text message. For example, you can use a poo emoji to have fun or use a cute panda emoji to impress your friends. According to Craig Federighi, Apple’s senior vice president of Software Engineering, if we are wondering what humanity would do when given access to the advanced facial tracking technology, Animoji is one of our answers. And he believes that one day in the future Animoji can predict our facial expressions instead of mimic it. So let’s just wait the day. 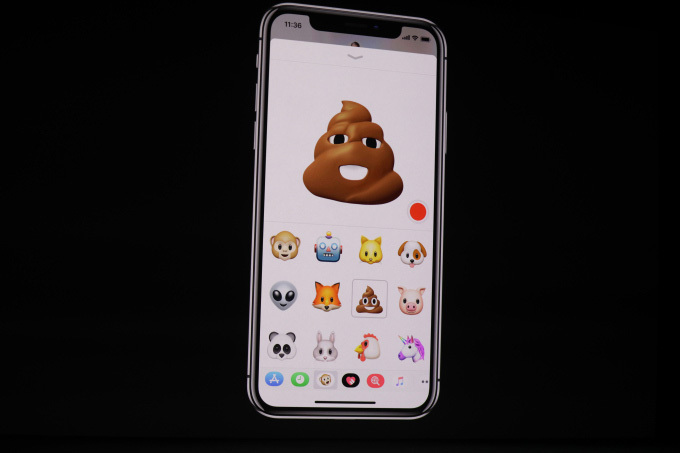 Because of iPhone X’s Face ID technology and True Depth camera, it will be easy to make an iPhone x Animoji on Message app. After you open Message, choose an emoji in the list and click on “Record” button to create a message. When you smile, the emoji will smile, and when you frown, the emoji will frown. It will follow your facial movements during the process, together with your voice been recorded. Now you can send it to anyone who uses an iOS 11 device. The Animoji being sent to your friend is a looping clip, so the one who receives it can truly feel your emotion through your animated facial expression and your real voice. iPhone X will be released on November 3, 2017, and the pre-orders start on October 27. Animoji requires the technology of the iPhone X, so you can’t try this new feature until the iPhone X releases. 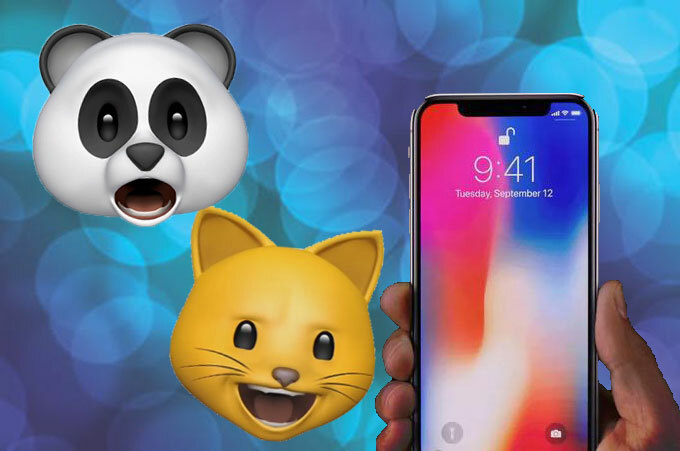 Like other iPhone X new feature, Animoji attracts people who are eager to try something new.